We all have those ‘moments’ — those moments when the kitchen drain or the toilet don’t drain or flush. Usually such moments are meant with angst and worry. We want the plumbing fixed, and we want it fixed NOW. So we go running to the phone book or internet looking for a plumber. We’ve all been there. It’s likely we’ll all be there again. When it happens to a property we manage, though, our service manager has been given specific instructions to stay away from companies with the word ‘rooter’ in them. I am not going to name names, but we have all seen them. Why? We have a few reasons. None of them are scientific or proven — all of them are based on experience or superstition. We have found that companies with the name of ‘rooter’ in them tend to charge more than other companies. They usually have large advertising budgets which need to be funded through higher labor and bid rates. We would much rather call ‘ABC Plumbing’, or better yet “Joe’s Plumbing’. Call us soft, or call us a small business. 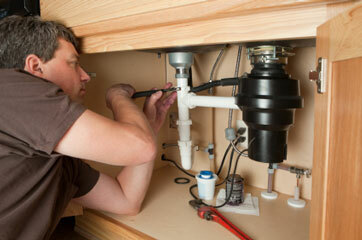 But we like the idea of entrepreneurship — of some small-time plumber struggling to make it in business. I guess we like underdogs. We also figure the small-time plumber doesn’t have the advertising budget or the bureaucratic overhead of a large company. It doesn’t take rocket science to figure out how to snake a drain! Joe probably has the thing figured out just as well as the rooter dude. And Joe just might add some personal service on top of it!. One thing we know for sure from experience: Joe’s bill will be less than the other guys’ bill. We continue to work hard to save our owner’s money whenever and wherever we can. It is too easy and too convenient to not care and pretend you have a blank check. We don’t like that at all. So the next plumbing clog, we’re tipping our hat to the little guy!